Tales of the Elsmo Four: Day Six. 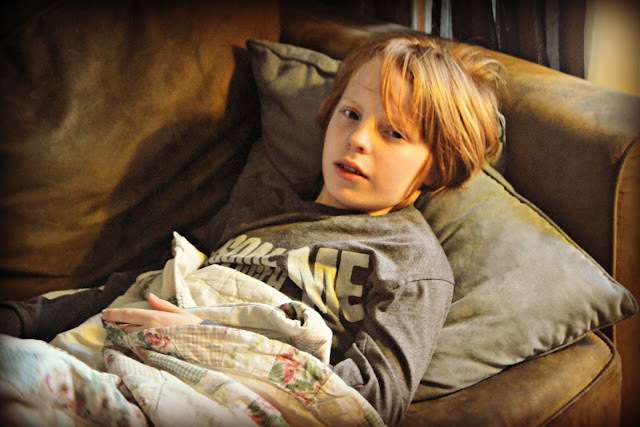 Last Saturday Finn went down fast and when things were not improving nearly a week later we took him into the doctor and discovered he is suffering from bronchitis, ear infections and laryngitis. No wonder he wasn't bouncing back! A heaping dose of antibiotics should have Finn on the mend in no time.